Working with a large, global network of collaborators poses unique opportunities — as well as challenges. 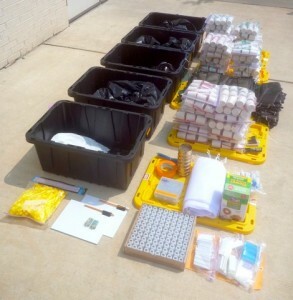 Before ZEN’s parallel experiments could start at the 15 widely scattered partner sites in 2011, the VIMS team had to purchase, fabricate, assemble, package, and ship the experimental materials to the sites located throughout the northern hemisphere. That summer we shipped out up to 6 crates and over 500 lbs of gear per site (that’s almost 3.8 tons total!). There was a lot to be done before we could pull on the dive booties and plunge into the water at our own site! For summer of 2014 the focus is on rigorous, controlled surveys and smaller scale experiments, which has the added benefit of less international shipping! Over the past school year, I have finally found my people and my calling. I’ve been lucky enough to participate in the UC Davis ZEN course this spring quarter. 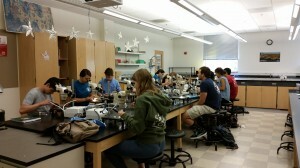 Unlike your typical research university lecture hall of 300+ students, this class was limited to only 12 undergraduates. 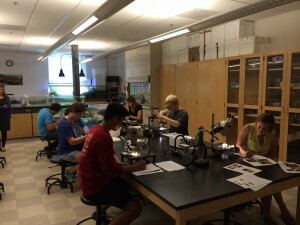 But it wasn’t the 6:1 student to faculty ratio that made this class special – rather, it was the people themselves. As an underclassman, I was herded around the general biology pre-requisite path with the several hundred other students in the college. I found the intro biology series fascinating, but to my dismay, the majority of my peers expressed boredom even in the lab sections. However, this ZEN class was entirely different—it has been one of the few times I’ve been completely surrounded by people that are just as interested in marine ecology as I am, if not more (which I didn’t know was possible). 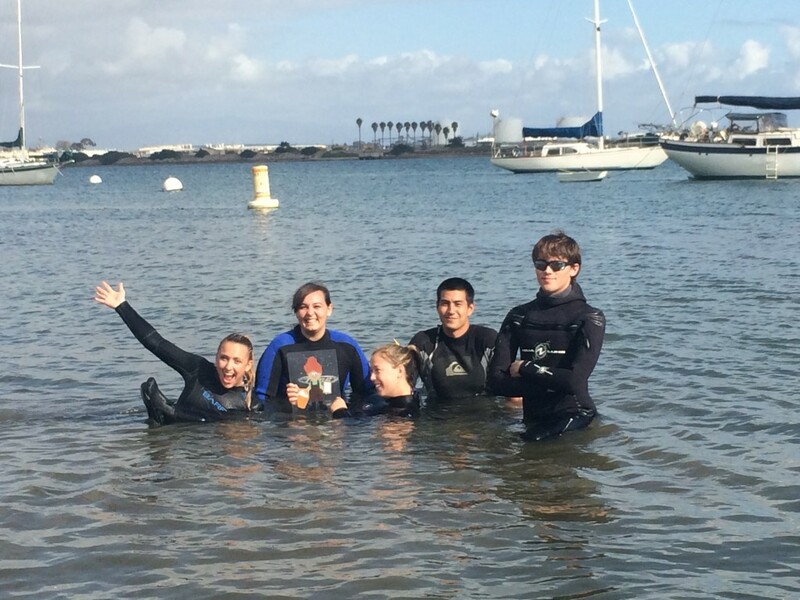 Instead of being held back by classmates that lacked knowledge and interest about the subject at hand (e.g., marine communities), I was motivated and inspired by the passion and expertise demonstrated by the eleven other students and two instructors. Because of this, we were able to progress quickly through lecture topics and have intellectually stimulating discussions. 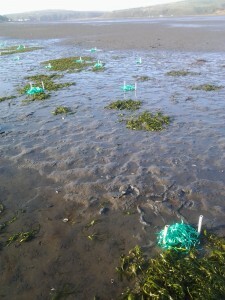 During the first class period, I knew I had found the right class because we had a lengthy and heated debate about how exactly to deploy the ASUs (Artificial Seagrass Units, or glorified green plastic ribbon) we had just built in order to get the most interesting data. This time, we the students were in control or our own experiment, and we had a plethora of scientifically interesting questions to ask. We weighed the pros and cons of each scenario, and after much discussion settled upon an experimental design. Needless to say, the past 10 weeks have been a great learning experience for me. 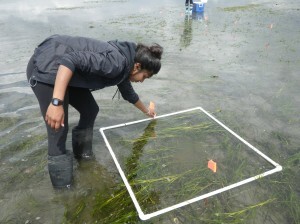 Not only did I become well versed in eelgrass ecosystems, but I also learned more about how to be a scientist through lectures, discussion, and my favorite, hands-on field work. 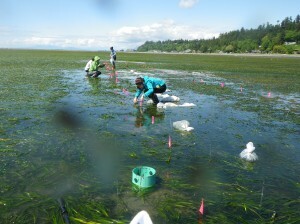 Although I won’t be exclusively working for ZEN this summer, I will still be immersed in eelgrass research. 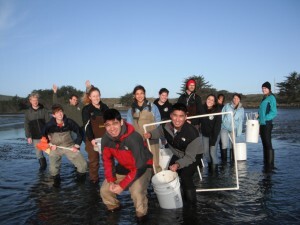 I’m excited to once again be surrounded by marine ecologists in Bodega Bay, and know I will continue to be inspired by both the scientists and the sea. 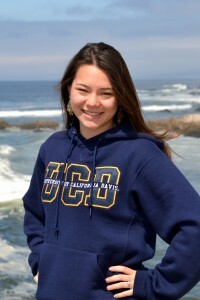 Kendra Chan is a rising senior at UC Davis. 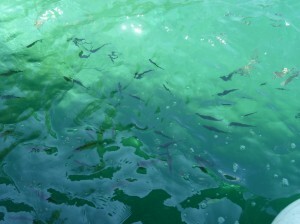 Her favorite experiment in the ZEN class was an assay of predation intensity in Bodega harbor. Her dream is to save the world with science – combining science and education with conservation and sustainability to better understand and utilize natural ecosystems. Photos contributed by Kendra and Matt Whalen. 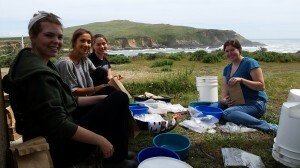 We are excited to be sponsoring 19 undergraduate students (hailing from the College of William and Mary, University of California, Davis and San Diego State University) to engage in hands on research with the ZEN program this summer. 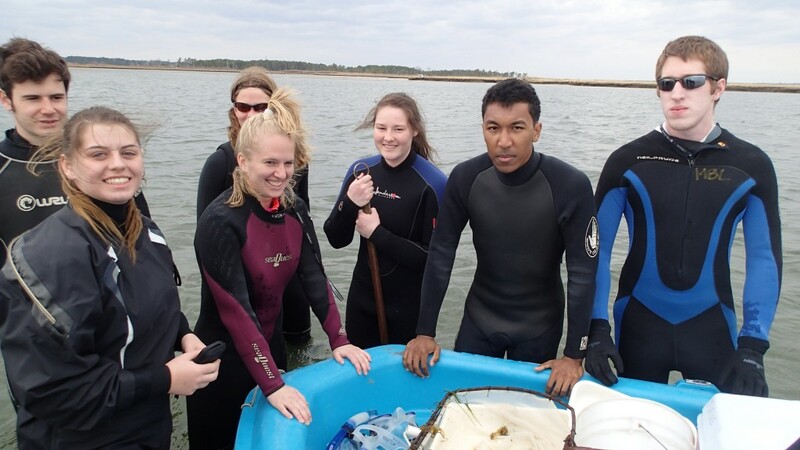 These “ZENterns” recently completed the ZEN Seagrass Ecosystem Ecology course at their home institution and will travel to different ZEN partner sites to assist with the 2014 field and laboratory experiments. They will be sending back blog posts periodically to report on their adventures – both domestic and abroad. Kyle Belfort, double major in Biology and Environmental Science and Policy (2015). Kyle is from Virginia and is interested in restoration ecology. Outside of science he is competitive in both mock trial and volleyball. This summer Kyle will be working at the ZEN site in San Francisco, California. Charles (Charlie) Deaton, Geology and Environmental Science double major (2015). 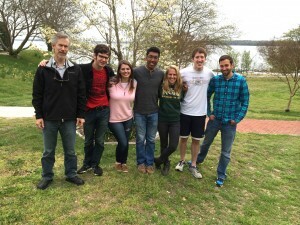 From Virginia, Charlie is completing an honors thesis on barrier islands geology. He pays the sousaphone in the W&M Pep Band. Charlie will be working on ZEN projects in both Virginia and North Carolina this summer. Allison (Ally) Farnan, Environmental Policy and Economics major (2016) . Ally grew up in Tokyo and Maryland and loves to sail, ski, and travel. This summer Ally will be assisting ZEN partners in both Connecticut and Quebec. Kara Gadeken, Biology major (May 2014). Hailing from Northern Virginia, Kara is a competitive synchronized swimmer. 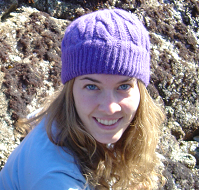 Kara will be assisting with ZEN research in both Vancouver, British Columbia and back in Virginia. David (Dave) Godschalk, Geology and Marine Science major (May 2014). Dave is originally from Virginia and completed an honors thesis in geology. He’s an avid rock climber and marathon runner. 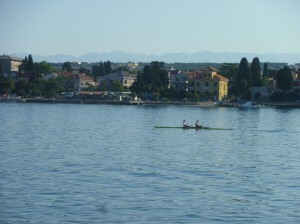 Dave will be traveling with Austin to assist ZEN partners in Croatia this summer. Danielle Hall, Biology major (2015). 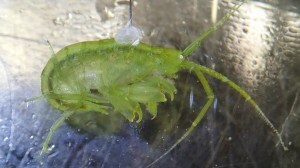 Danielle is originally from Massachusetts and has been working with Dr. Duffy studying eusociality in Caribbean shrimp. 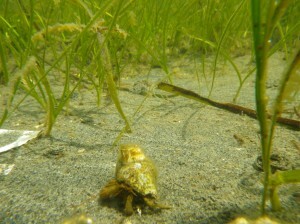 She loves to dance – both inside and outside the seagrass beds! Danielle will spend the summer with ZEN partners in Vancouver, British Columbia as well as in Massachusetts. Austin Ruhf, Biology major (May 2014). Originally from Virginia, prior to this summer Austin has only traveled outside of the USA once. When he’s not in the field he loves to play Beatles music and runs a coffeehouse. 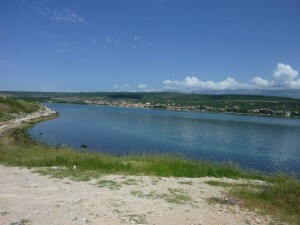 This summer Austin will be traveling with Dave to assist ZEN partners in Croatia. Jessie Viss, Biology major (2016). Jessie is originally from California. She will be spending the summer with ZEN partners in Portugal. 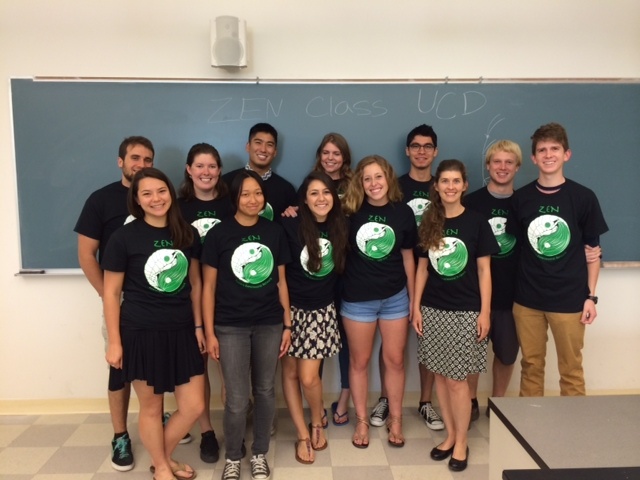 The UC Davis ZEN class including ZENterns Julie, Josh, Natalia, Ellie, and Austin (not pictured: Nina). Julie Blaze, Biology major (2014). Julie will be traveling with Ellie to assist ZEN partners in Ireland and then returning to assist with projects in Bodega Bay, California, and up in Oregon. Joshua (Josh) Chow, Biology major (2014). This summer Josh is traveling to assist ZEN partners in Wales. Elizabeth (Ellie) Marin, Biology major (2015). Ellie will be traveling with Julie to assist ZEN partners in Ireland and then returning to assist with projects in Bodega Bay, California, and up in Oregon. Austin Greene, Biology major (2014). 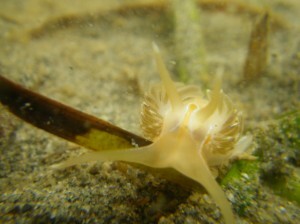 Austin is a budding photographer and research SCUBA diver. This summer Austin will be assisting ZEN partners in South Korea. Nina Nichols, Biology major (2014). Nina speaks fluent French, loves baguettes and silent movies. This summer Nina will be working with ZEN partners in both Quebec and France. Natalia Villegas, Biology major (2014). This summer Natalia will be working with ZEN partners in both Mexico and France. Christopher (Chris) Bayne, Biology and Japanese double major (2015). 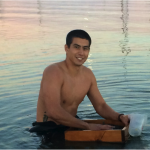 Chris hails from San Diego, California and loves everything water related – kayaking, surfing, swimming, you name it! 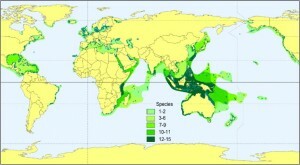 He is also an AAUS trained research SCUBA diver. This summer Chris is traveling with classmate Josh to the ZEN sites in Japan. Whitney Dailey, Environmental Science major (2014). Whitney grew up in Washington state. She plays almost every kind of sport and loves photography. 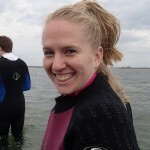 Whitney is an AAUS trained research diver, NAUI Master diver, and PADI drysuit certified diver. This summer Whitney is traveling to the ZEN site in Sweden. Joshua (Josh) Jaeger, Marine Biology major (2015). Josh is from San Diego, California and one of his favorite classes at SDSU was a philosophy course on knowledge and reality. 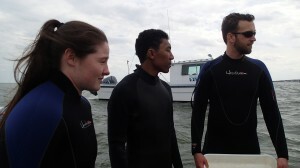 Josh is also an AAUS trained research SCUBA diver. This summer Josh is traveling with classmate Chris to the ZEN sites in Japan. Jennifer (Jen) Joseph, Marine Biology major (2015). 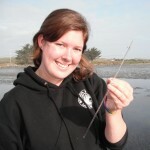 Jen is from Northern California and is a research SCUBA diver. Jen loves everything Harry Potter and is a huge fan of the San Jose Sharks ice hokey team. Jen is traveling to the ZEN sites in Mexico and Massachusetts this summer. Shay Hengen, Marine Biology major (2016). Shay grew up in Northern Idaho and has been working in Dr. Hovel’s lab since her freshman year at SDSU. Her hobbies include drawing, snowmobiling, and everything related to Batman. She will be traveling to assist with ZEN research in Finland this summer. 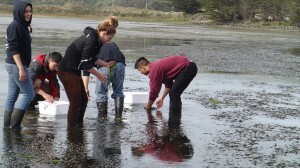 A novel component of ZEN2, in spring 2014 we launched a coordinated upper division undergraduate Seagrass Ecosystem Ecology course at each of the three core ZEN sites. 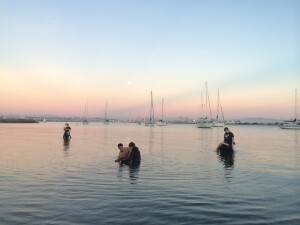 Dr. Emmett Duffy and graduate student Jon Lefcheck instructed a group of 8 students at the College of William and Mary, Dr. Kevin Hovel and graduate student Erin Voigt taught 6 students at San Diego State University, and Drs. 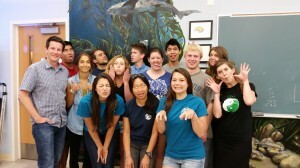 Jay Stachowicz and Pamela Reynolds co-taught another 12 students at the University of California, Davis. The course focused on ecological theory and hands on training in marine ecology field methods. 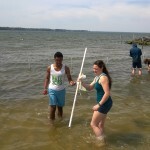 We incorporated lectures and readings of the primary literature with field trips and student-led surveys and experiments. 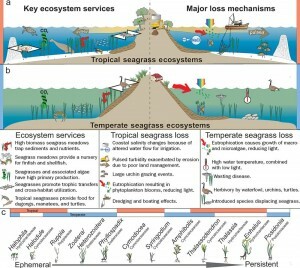 Each course topic and experiment in the course corresponded to a main theme and goal of ZEN – from top-down/bottom-up ecology and biodiversity ecosystem functioning to experimental design and habitat restoration. 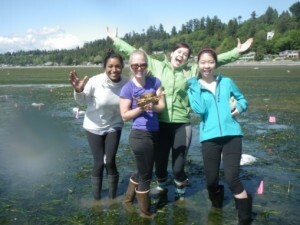 In an immersion instruction style, students performed research typical in marine ecology, working both indoors and outdoors, with living organisms, under a wide variety of conditions. The students gave presentations both within their own class and, via teleconferencing, to the other ZEN classes. 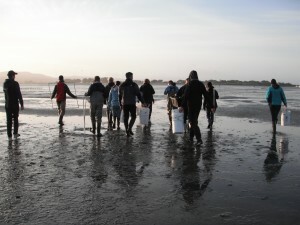 The course gave students a rigorous background in not only the “why” behind the science and a sense of the history of the field, but also the “how” of doing the science itself. With such small class sizes we were fortunate to be able to engage the students in this active learning style and to really connect with and get to know them. Success in the class was assessed by the students’ ability not to simply memorize facts, but to apply the core concepts of the course to design novel approaches and problem solve both individually and as a team. We hope that additional ZEN partners will engage with similar networked courses in the future and further strengthen the connections among our diverse partnership. A subset of the students in the ZEN classes are participating in our ‘ZENternship’ program -a hands on training experience following the prior ZEN graduate student exchange program of 2012 and modeled after the NSF Research Experience for Undergraduates program. 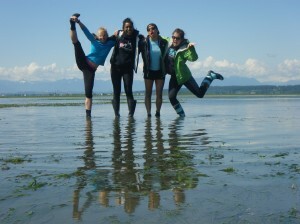 The ZENternship for 2014 involves student travel to different partner sites this summer to assist with ongoing ZEN research. We were thrilled to have a great group of students participate in this first ZEN class and can’t wait to hear about their summer research experiences – both at home and abroad. And, we are all more than a little bit jealous that we didn’t have such an integrative class to take when we were undergraduates! Check back here to read more about the ZENterns and their experiences conducting research at home and abroad this summer.